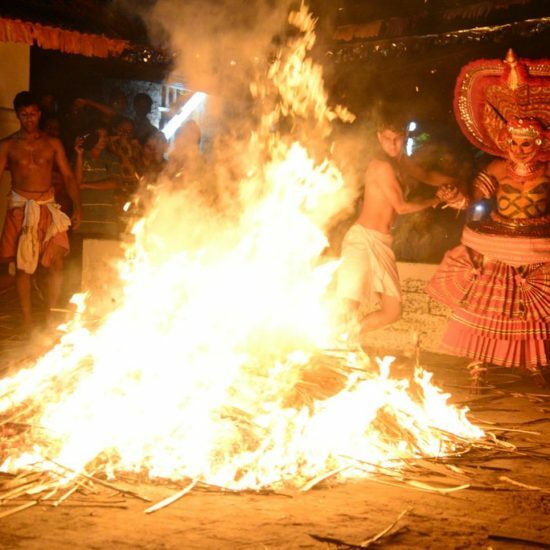 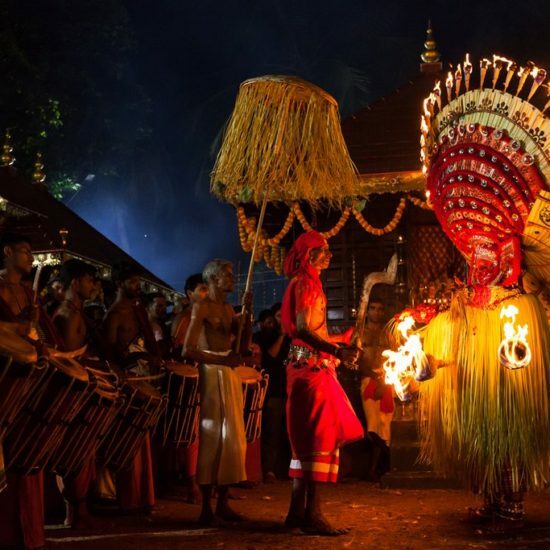 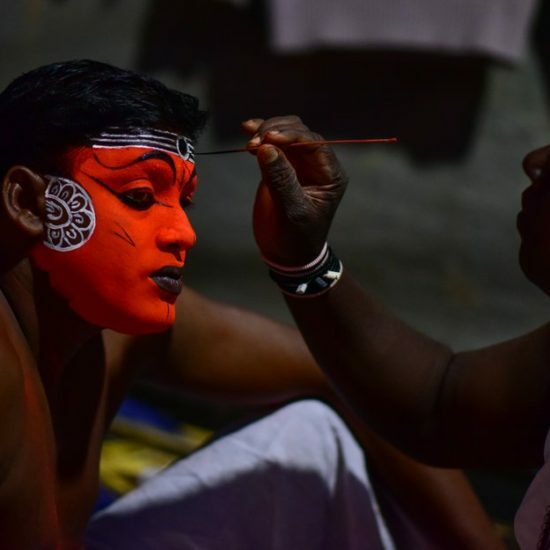 Theyyam Research Study Tour Kerala Folklore: We help you to research, study and document about theyyam rituals and other cultural performances of North Kerala regions. 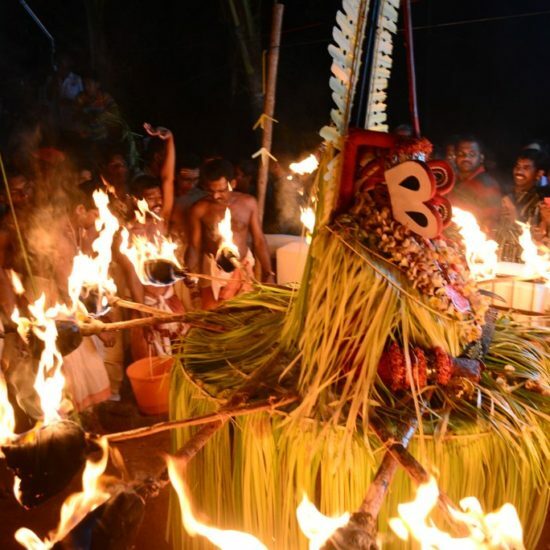 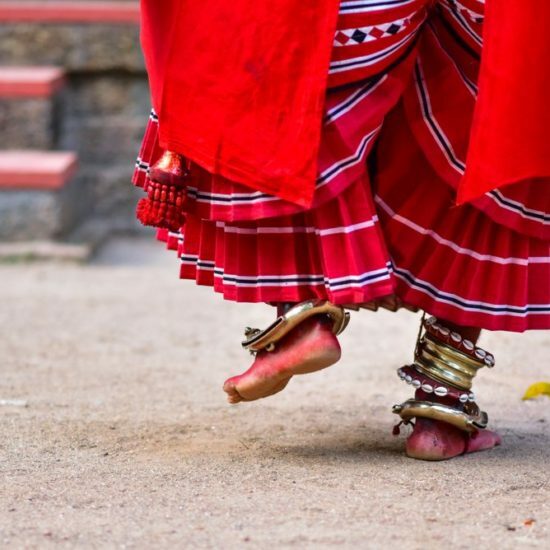 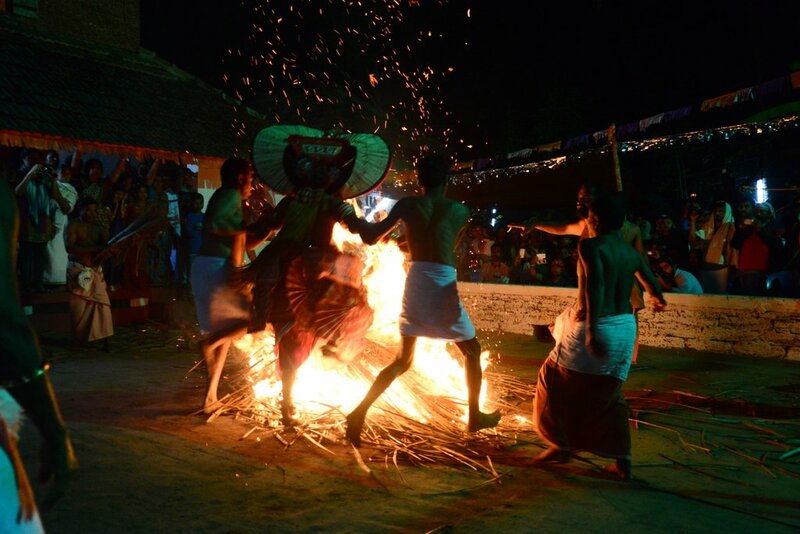 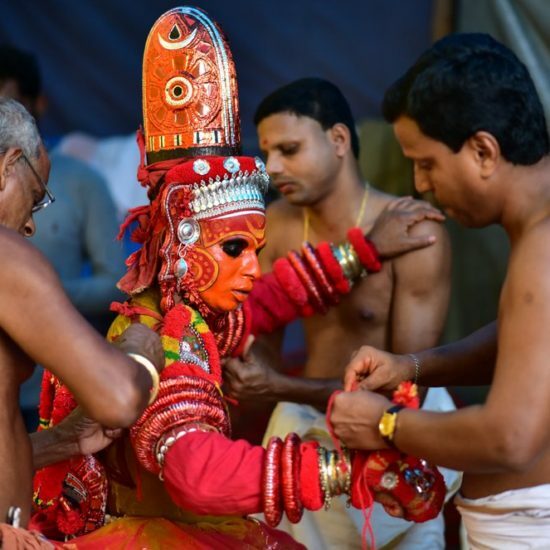 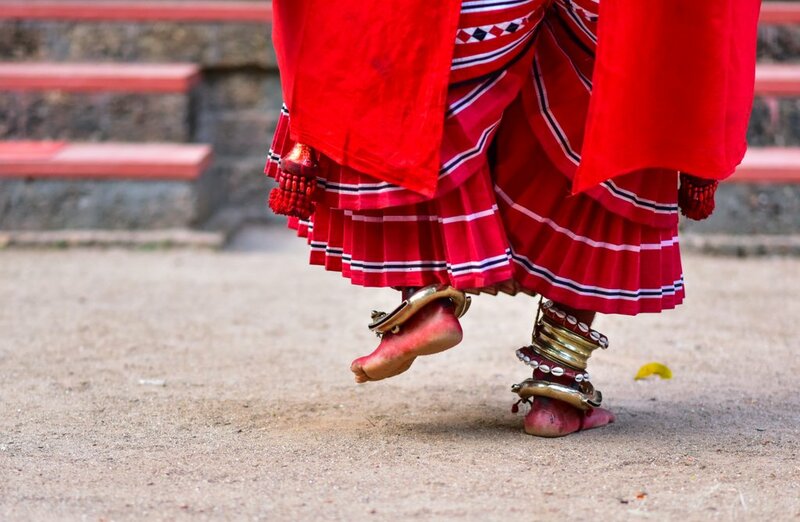 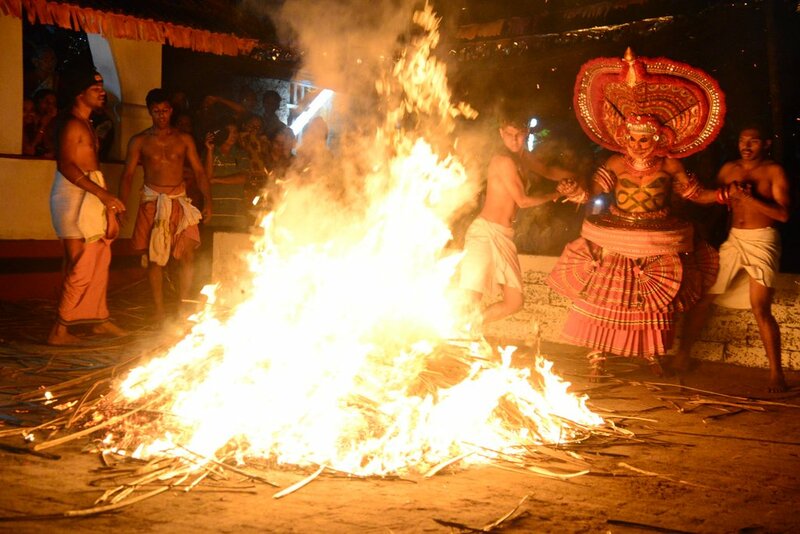 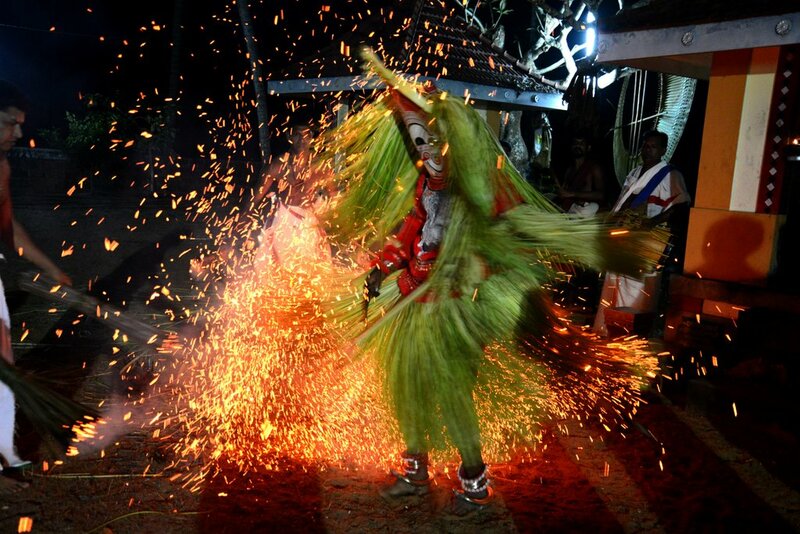 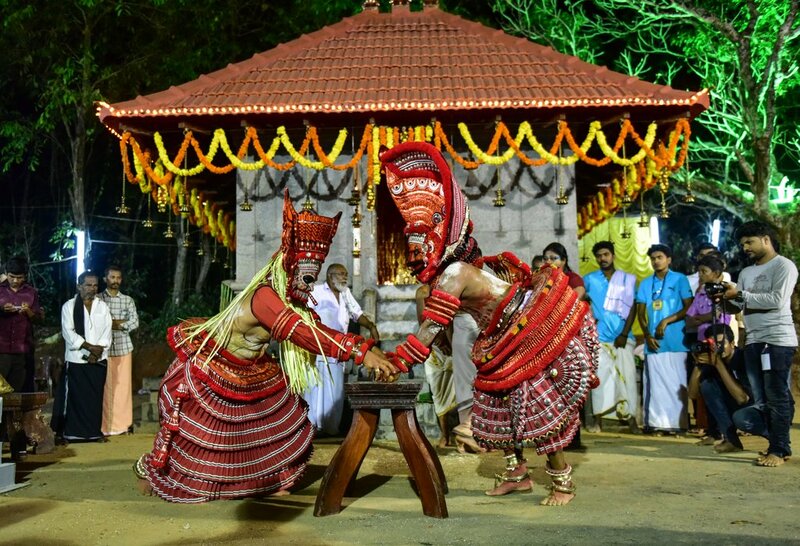 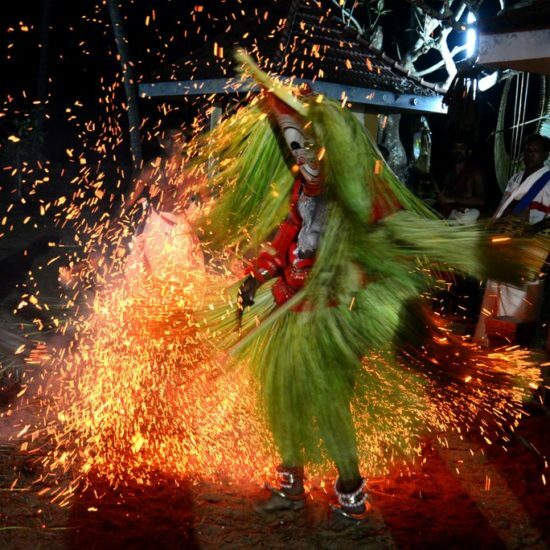 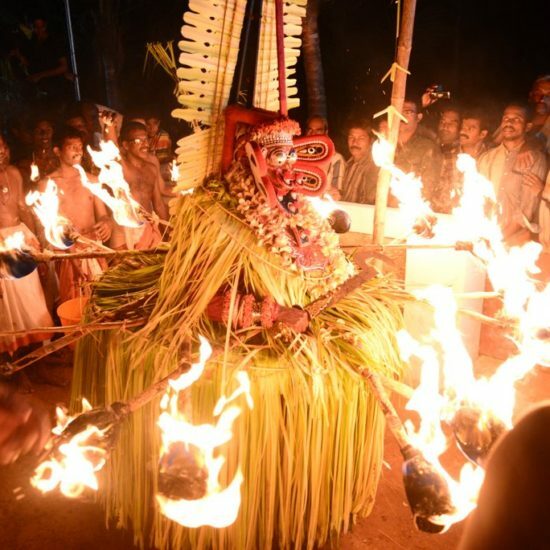 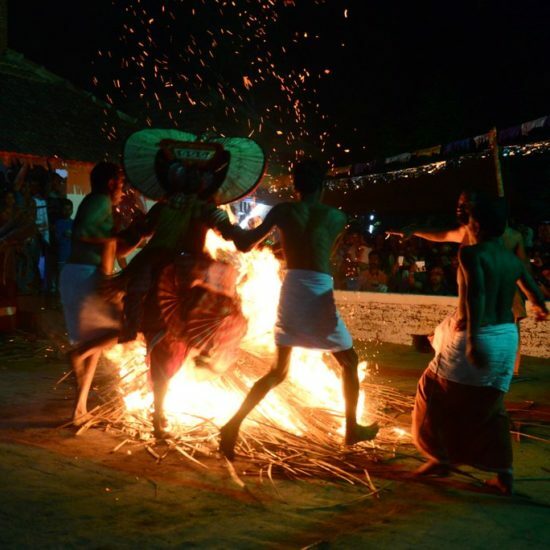 We provide proper guidance and help you to interact with theyyam performers separately. 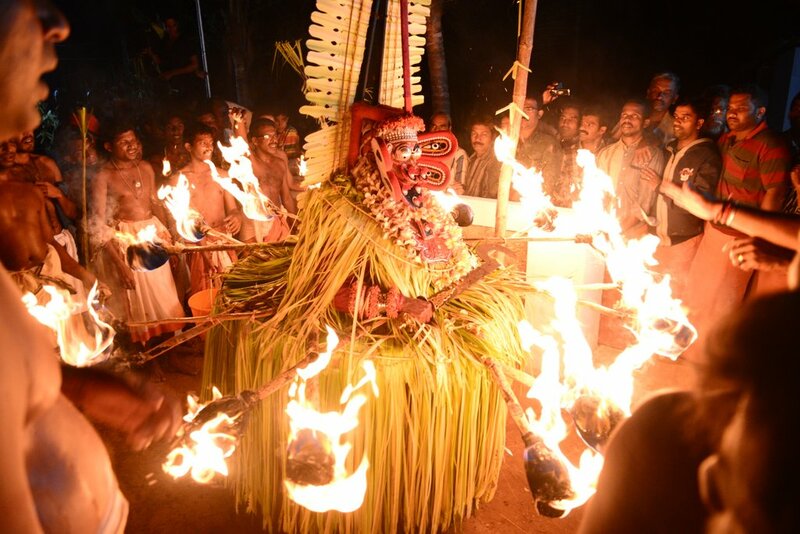 We also provide opportunity to take video for TV channels and documentary team, also to photograph theyyam. 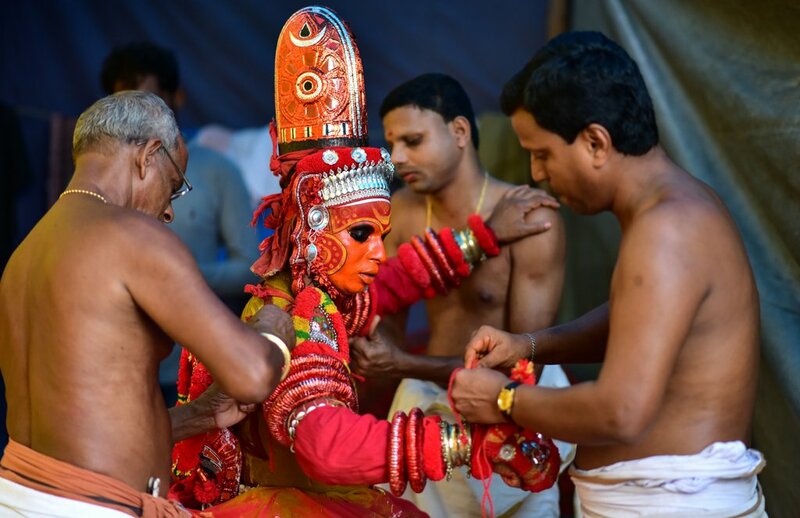 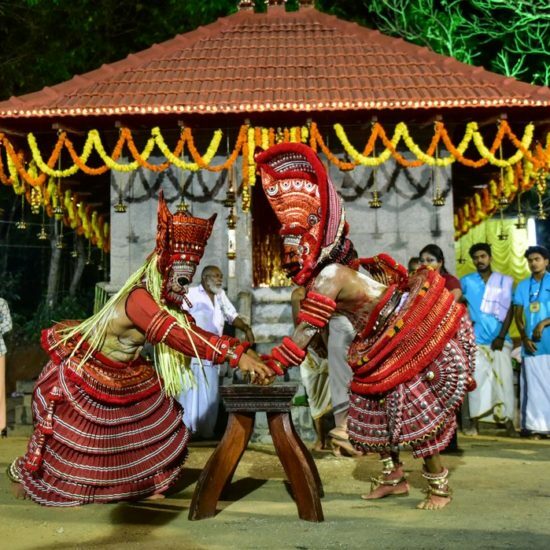 We have information about more than 2500 temples where 600 different theyyams are performing and have huge collection of theyyam photos and videos along with exclusive Theyyam Calendar. 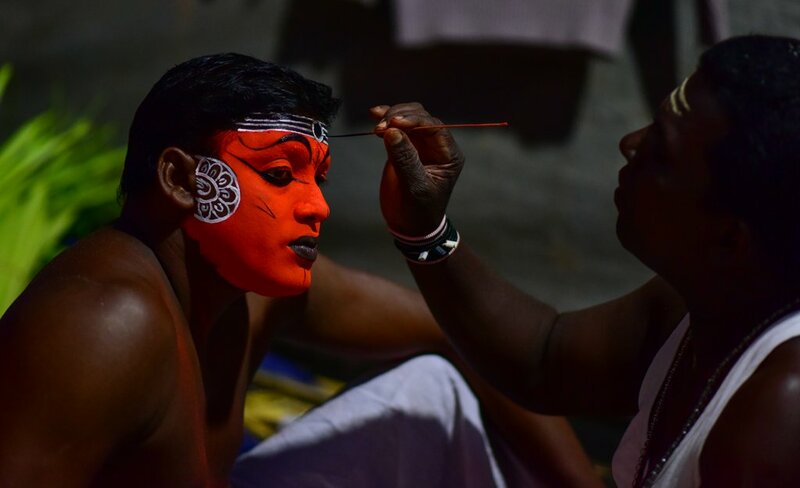 For the last 18 years promoting Theyyams and our visitors include professional photographers from world wide, researchers and ordinary travellers who wants to experience Theyyam performances. 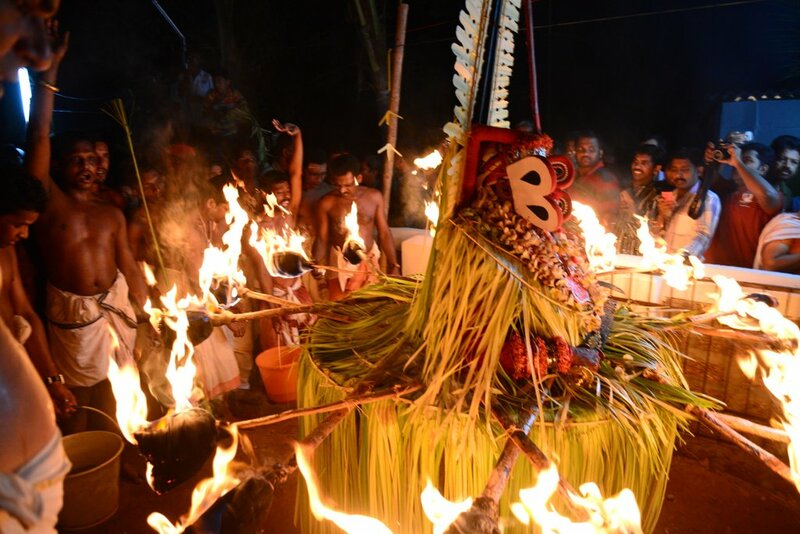 Theyyam Tour Packages: Popular Theyyams Tour Packages we conduct. 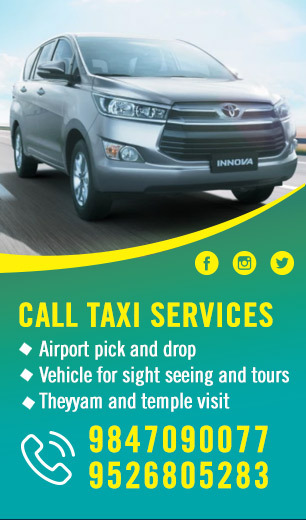 We give customized tours as well. 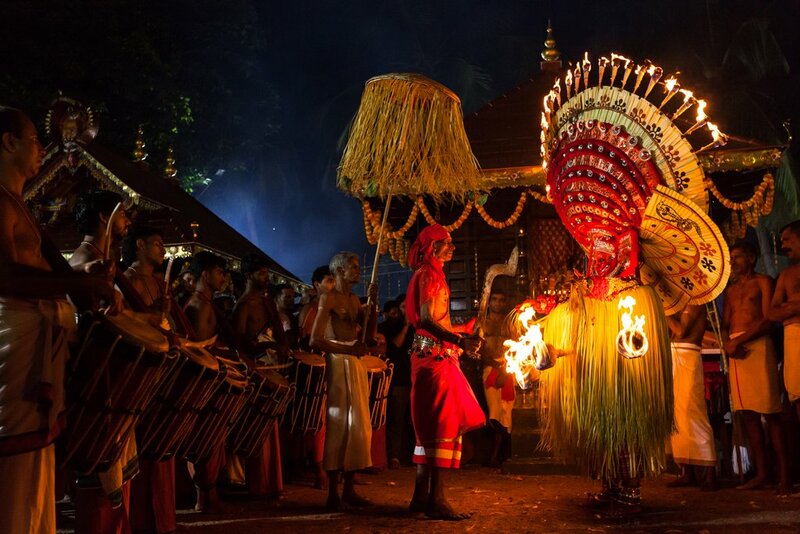 On request, Fire theyyams are available from October to April on selected dates, please contact us for details.